That's because bed bugs tend to get around by attaching themselves to clothing or bedding in homes and hotels. Travelers who stay the night in one of these places run the risk of taking the tiny pests home in their suitcases. “The best advice I can give to those traveling over the holidays is to be on the lookout for evidence of bed bug activity at all times,” said Cindy Mannes, vice president of public affairs for NPMA. The bugs are so small you probably aren't going to be able to see them. Mannes says what you will see are signs of their presence, such as pepper-like stains on fabric-covered items, and molted bed bug skins. In some cases you may see the actual bugs at various stages in their lifecycle – things like white eggs and empty egg casings. Whether you're staying in a hotel or a relative's guest room, Mannes suggests carefully inspecting the room for bed bug evidence before settling in. It's a good idea to pull back the bed sheets to examine the mattress seams, checking behind the headboard and looking in furniture crevices. If you are staying in a relative's home, you no doubt want to do this discretely. A small flashlight can come in handy during your investigation. If you find evidence of bed bug infestation in a hotel, you should, by all means, notify management and request a different room. If you find bed bugs in a private home, the response is a little trickier. However, you'll need to find a way to bring it to the homeowner's attention. As a final precaution, Mannes suggests travelers vacuum their luggage and wash and dry all clothes – even those that have not been worn – on high heat when returning home. 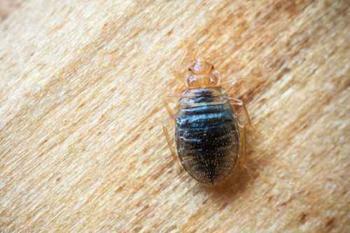 The Environmental Protection Agency (EPA) offers travelers some additional bed bug tips. For example, the agency suggests emptying suitcases directly into the washing machine upon returning home. It says drying on high heat will usually kill them. Store suitcases in the basement or garage. Keep them out of bedrooms and never store them under a bed.